This past week my friend Andrew Arakawa has been staying with me in my apartment at the Honolulu Tower. As many of you know, Andrew is in his senior year of seminary studies in Virginia and as we sit and talk about how things are going for him I realize that it is now 14 years since I graduated from seminary and was ordained by Bishop Chang to the transitional diaconate. 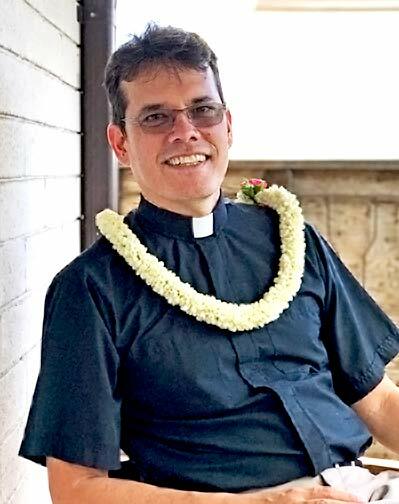 Then when I walk to the Cathedral in the mornings I use the time to reflect on what the past 14 years have been like for me and how many changes that not only I have gone through but that the Diocese of Hawaii has gone through. When I was ordained 14 years ago I was something like #53 or #54 on the clergy seniority list. Today I am #10. I’ve had five jobs since I was ordained: two in schools, two in this Cathedral, and one as Rector of a parish on Hawaii Island. And it all makes me wonder what the Diocese and this Cathedral will look like 14 years from now, and what my life will be like 14 years from now when I am 68 years old. And then I come out of that place of wonderment and life goes on. A couple of weeks back we sent out a survey to those of you who attend the 7:00 AM service at the Cathedral on Sunday mornings to ask how you felt about the service time and the use of Rite One. The response we received was overwhelmingly supportive of keeping both the service time at 7:00 and keeping Rite One. I’d also like to let you know that Father Hee will be preaching and presiding at the 7:00 service during the season of Epiphany so that he can have the opportunity to preach on a regular basis and feel what that rhythm is like. He is very excited about the chance to do this. Please remember that the Annual Meeting of the Cathedral Congregation will be held on Sunday, January 27 at 9:00 AM in the Tenney Theatre. At that time we will elect new Chapter members, delegates to the Diocesan Convention, receive the 2019 Budget that was approved by the Cathedral Chapter, and take in a presentation on the three-year rolling plan that was developed in the latter half of last year. I’d also like to let you know that The Most Rev. Michael Curry, the Presiding Bishop of the Episcopal Church, will be with us at the Cathedral on Sunday, March 24 at 10:00 AM. We will combine the 8:00 and 10:30 services that day to accommodate his schedule. The Worship Committee is making plans for this service and we look forward to having the Presiding Bishop with us. I will have more information for you on his visit is the time draws nearer. Over the past couple of weeks I have spoken with several of you who are federal employees and who have been furloughed. Some of you are also reporting to work as essential employees, but are not receiving pay. This is a difficult situation for all involved and I would like to call the congregation into a special time of prayer that this situation resolve itself amicably and quickly. I also ask for prayers for our Cathedral families who are affected by the shutdown that they find peace and comfort in what we all know is a very tense and anxious situation. I will close here for this week. I look forward to seeing you at worship. Until then, please take care.